Rafa Benitez had outlined what success will be like at Newcastle with him as managers. He wants to be in the top ten in the league () we should achieve that this season) and then he wants to win trophies both domestically and in Europe. So that’s his ambition so we will have to wait to see what Ashley’s ambitions are for the club – other than getting the highest price possible should he still decide to sell. To keep Newcastle in the Premier League while spending the least amount of money as possible is not an acceptable answer from the owner. It’s what the fans have wanted for decades and decades – and if Mike Ashley will not support him we will have to get another owner in who will. Rafa Benitez has deserved being fully backed by the Newcastle hierarchy for the great work he has done at the club over the last two years. If Benitez can convince Ashley (via Charnley) to buy players on installments, then he could have a real springboard budget to spend. The club already has installments coming in for players, plus the players sold this summer will likely be sold on installments. If the club switches its buying policy, it could be the difference between Benitez bringing in 2 or 3 players to bringing in 5 or 6. There are merits to the current system, but with players prices increasing, it seems to make more sense to have a big transfer window sooner rather than later. Take the installments coming in for Sissoko, that converts to a £30 million player Benitez can bring in, on its own. @Jib from earlier. Trelford Mills incident (2 dissalowed goals) was 83, not 79 surely? In 79 I was either at or leaving school. Well I knew one uf us had a brainfart. Glad it wasn’t me. Of not uf. Bloody fat fingers and small phones. Ancient C, I guess again it comes down to trust in Rafa on Ashley’s behalf. We built up a great deal of debt under the old regime and this was seen as ‘operational’ debt ie money owed through the normal running of a business. The idea was that it could be paid and serviced comfortably through player sales, gate receipts and commercial activities. Ashley knew that this would change – his method of running the club would siphon off large amounts of the commercial income and would leave the club at greater risk of relegation, therefore less able to service the levels of debt we were running. Ashley therefore took a decision to pay off the debt himself to the tune of £100M. If we go back to paying for players via instalments, we will essentially go back to running the club with manageable operational debt, an entirely different business model which requires the club to be run with responsibility and an eye for the future. This is exactly how Rafa wants the club to be run (not necessarily in debt but that would be an implied option) but does Ashley? Big questions, and an interesting decision ahead for wor revered (!) owner. You’re expecting Ashley to run a debt-based model to help keep Rafa? 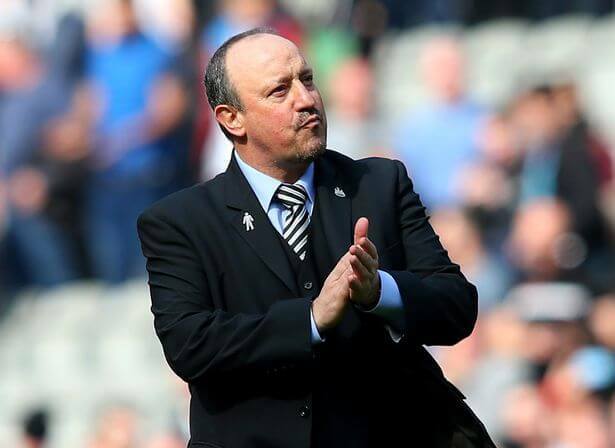 I think we’re expecting too much of him to change his ways in regard to NUFC – after all, he seems to run SD on the basis of minimum spend with maximum return on his relatively small investment. He’s got a barrow-boy mentality and that’s the way it will remain. What you’re saying about selling players for up front cash would make more sense to provide the money to buy em in cash. But Ashley would prefer to sell on instalments thus guaranteeing an incoming cash flow going forward and giving him more control over the club’s liquidity. lesh, I’m not expecting him to do that, just replying to Ancient C’s post which suggested running some debt may be an option to bring in more / better player recruits and musing on why he doesn’t do that now. If he did, it would imply faith in Rafa to take the club forward and would be symptomatic of a change of approach which would be welcome.